seawapa.co: Where we are heading financially ? Where we are heading financially ? The participants at the just ended Bilderberger meeting in Spain (2010) are scared they are going to be identified and eventually hunted down, according to an inside source at the meeting. For now Clinton, Bush, Baker and the other Bilderberg Nazi’s are trying to cut a deal with China that will allow them access to large amounts of funds which they plan to hide and use to re-assert their power after the current political storm blows over, the source says. Unfortunately for them, this is one storm that is not going to blow over to and allow them to resume their plans for world fascist dictatorship. Meanwhile, the White Dragon Society (or Black Dragon Society?) is in discussions with the Black Dragon Society, the Red and Green, the Chinese government, the three legged crow and MJ-12 about setting up a new meritocratic organization to take control of the US dollar away from the Federal Reserve Board. Plans are well underway and many technical issues have now been solved. 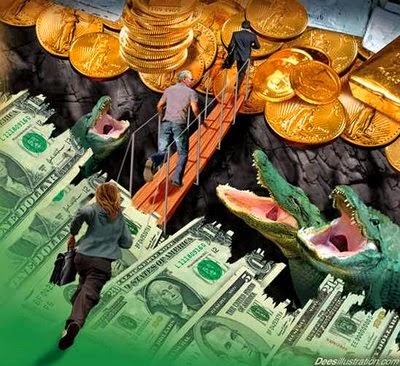 Gold to back the currency has been tested and refined by China and the decoupling from the petrodollar had begun. The real answer lies in a debt moratorium. Example Much of the Japanese debt is owed to financial institutions that are in turn owned by people like Stephan de Rothschild and David Rockefeller. These people would rather leave the Japanese people indebted for centuries that have to write off their Japanese government bond holdings. Meanwhile, the $23 Trillion Credit Bubble In China Is Starting To Collapse. In the case of Japan, we are headed for very dangerous times as the end game approaches. The White Dragon Society has been asked by the Pentagon not to take any action for now because “something big is about to happen.” It may well be the American people and thus the people of the world will have something real to celebrate on this upcoming July 4th independence day. However, as usual we caution that it isn’t over until it is over. People need to stay alert and make contingency plans for any eventuality as the Empire is building up World War 3 in order for them to stay on top.